During January our Studio Sweep Sale continues until January 26. 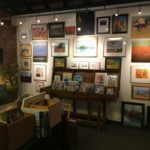 There is a wonderful selection of work by Ed Challenger, Scot Dolby, Lois Engberg, Angela Herbert-Hodges, Lynne Lockhart, Kirk McBride, Barb Mowery, Carole Peirson, Jim Rehak and Nancy West all at great prices. This is the perfect time to buy for gifts (wedding, graduation – anytime of the year) or for your own collection! 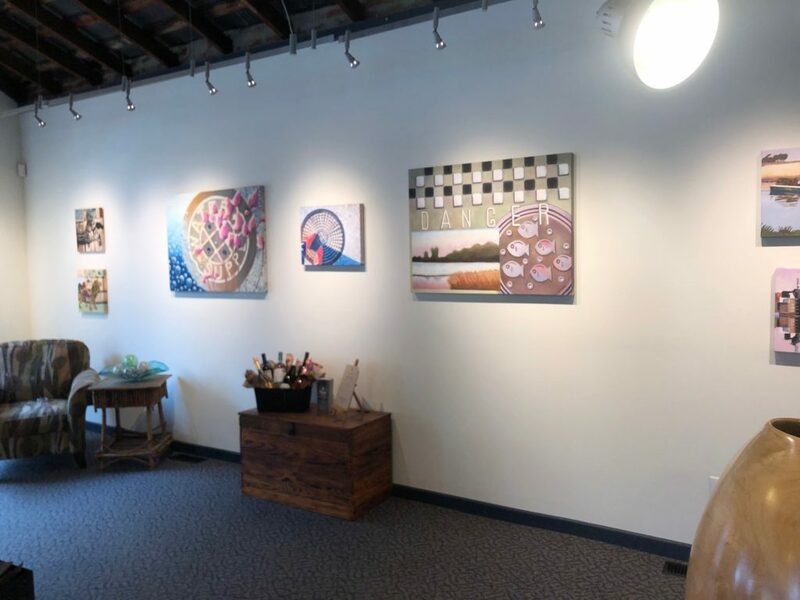 The featured work by Helene English is still showing. Our 8th annual Studio Sweep Sale begins on First Friday, December 7. 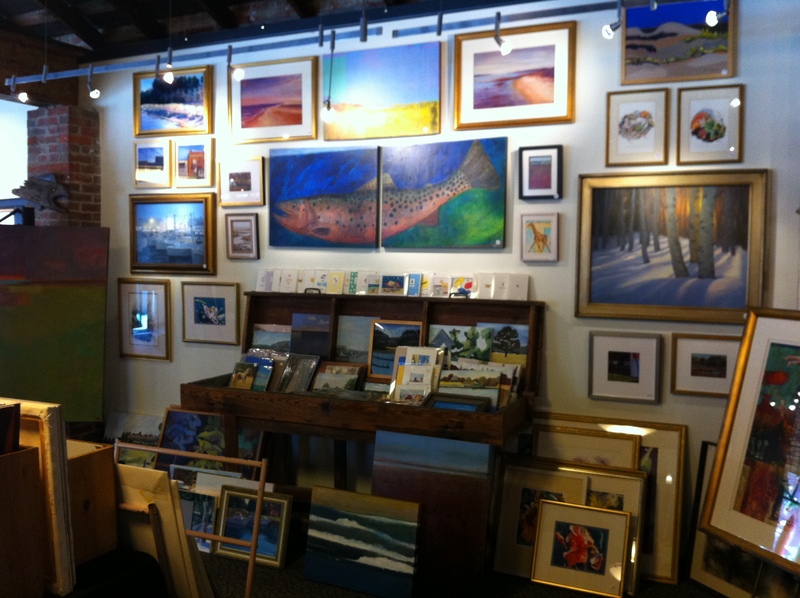 Not to be missed are paintings – framed and unframed by many gallery artists. The sale runs until January 26 so there is plenty of time to browse. Each December our artists sweep through theirs studios so they can have a clean “easel” ready for the new year. This is a great time to add to your own collection or buy great gifts to to give. The sale goes through January. Again this year our successful Studio Sweep Sale continues until the end of January. 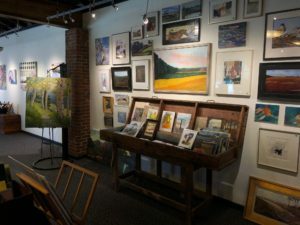 Bishop’s Stock’s artists clean out their studios to offer art lovers a chance to add to their collections or find the perfect gift at great savings. For the artists this gives a chance to sell older work, the last of a series or paintings that just need to go! 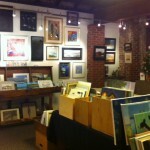 For those who appreciate local talent this means a great selection of oils, acrylics, watercolors and pastels. Most work is unframed but there is a small selection of paintings ready to hang plus frames to purchase. Some of the large paintings from our 1-Day Sale are still. There is plenty of time to leisurely search for that perfect find. 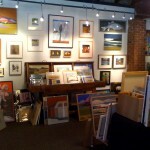 During this time newer work by gallery artists is also displayed but not at reduced prices. 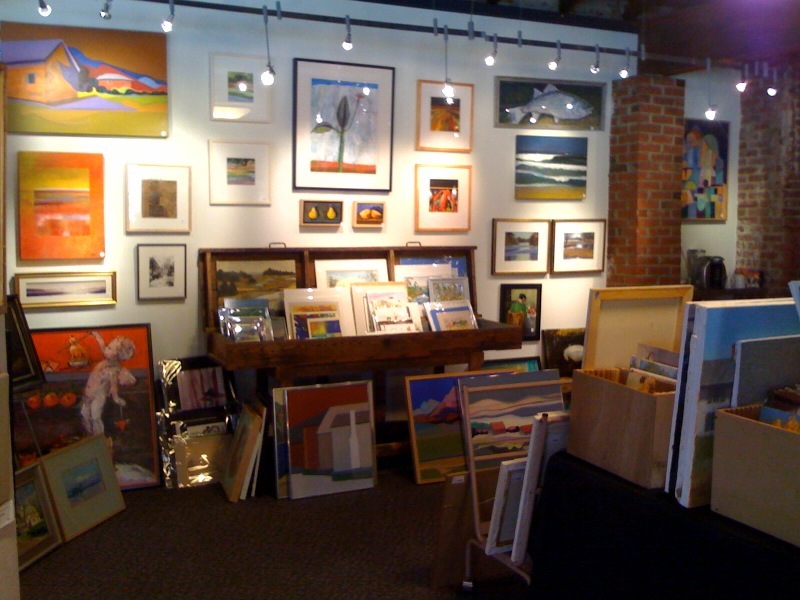 Bishop’s Stock’s Annual Studio Sweep Sale starts at 5pm and will continue through January. 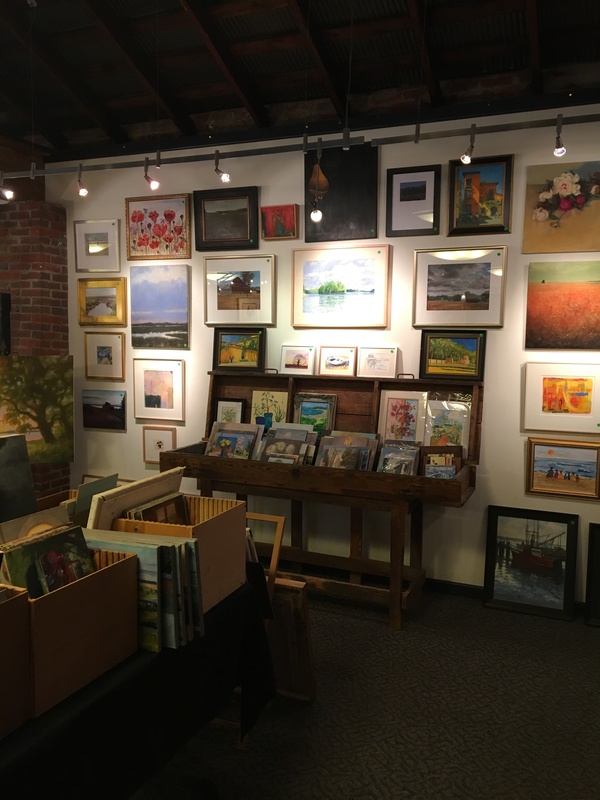 Each December Bishop’s Stock’s artists clean out their studios to offer art lovers a chance to add to their collections or find the perfect gift at great savings. For the artists this gives a chance to sell older work, the last of a series or paintings that just need to go! For those who appreciate local talent this means a great selection of oils, acrylics, watercolors and pastels. Most work is unframed but there is a small selection of paintings ready to hang plus frames to purchase. Some of the large paintings from our 1-Day Sale will still be available. The sale continues through December and January so there is plenty of time to leisurely search for that perfect find. 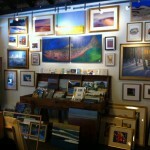 During this time newer work by gallery artists is also displayed but not at reduced prices. Each December Bishop’s Stock’s artists sweep through their studios for paintings that “need to go.” Some are older or the last of a series. Most paintings are unframed with very attractive prices. The sale runs thorugh January so there is plenty of time to browse for gifts or your collection. 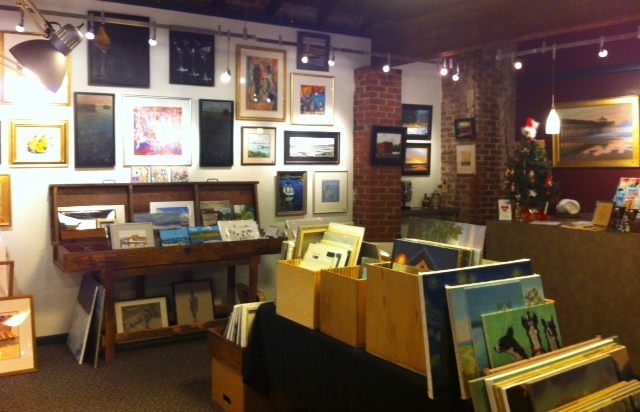 The sale opens with a reception and wine tasting on First Friday, December 5. Our artists have been sweeping their studios of paintings that need to “go” to make room for new creative work in the New Year. Prices are very affordable to make this the perfect time to add to your collection. This also provides an opportunity to give a gift created by local artists. Most work is unframed but some paintings are framed. Prices begin at $50. The sale continues through January.